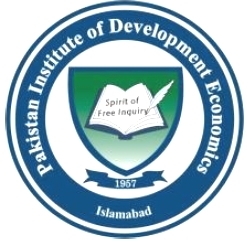 The Pakistan Institute of Development Economics was established at Karachi in 1957 and in 1964 accorded the status of an autonomous research organization by the Government of Pakistan. 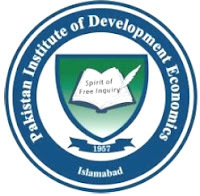 It is devoted to theoretical and empirical research in Development Economics in general and on Pakistan-related economic issues in particular. In addition to providing a firm academic basis to economic policy-making, its research also provides a window through which the outside world can view the nature and direction of economic research in Pakistan. Other social sciences, such as demography and anthropology and interdisciplinary studies increasingly define the widening scope of research that must be undertaken for proper economic policy and development to have sound underpinnings. Over the past 50 years PIDE has earned an international reputation and recognition for its research. Our faculty is rich and our advisory committee consists of world renowned economists such as Nobel Laureate Robert A. Mundell. PIDE is located at the Quaid-i-Azam University Campus in Islamabad, the capital of Pakistan. The campus rests against the backdrop of the Margalla hills on the Potohar Plateau, within a short distance of the remains of Taxila, which once housed the world's oldest university. Archaeological remains discovered in this area show that it has been a center of civilization for some 5,000 years. The Institute, neighbor to several other academic outfits situated in this historic and scenic part of the green foothills of the great South Asian mountain ranges, is the hub of economic and social science research in this part of the world.